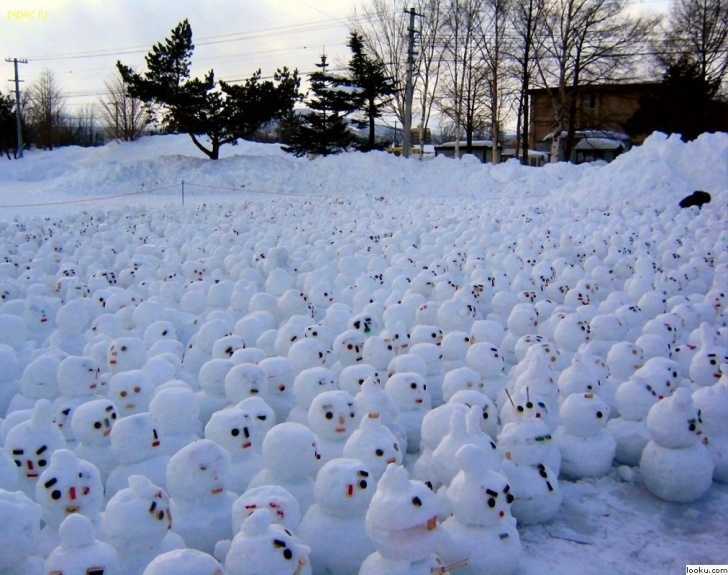 The Army of Snowmen | 11 Pics of the Funniest Snowmen Ever! These guys are ready to attack! We don’t know who made them and what intentions those people had, but these snow soldiers look impressive.